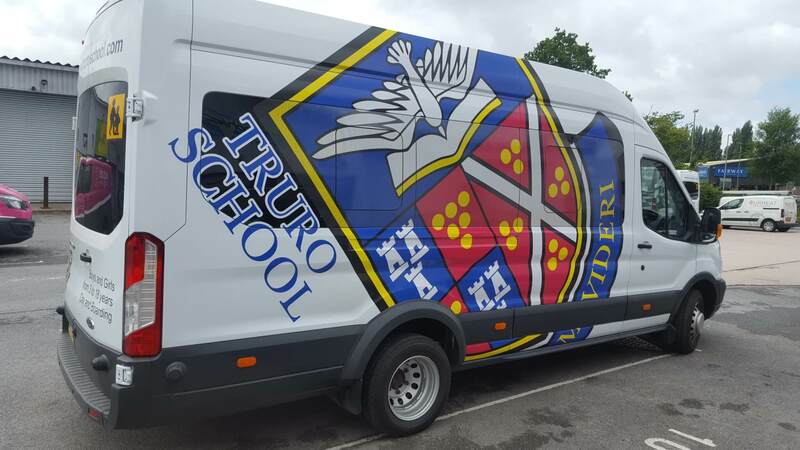 Truro School recently took ownership of a new fleet of mini buses used to transport their students. 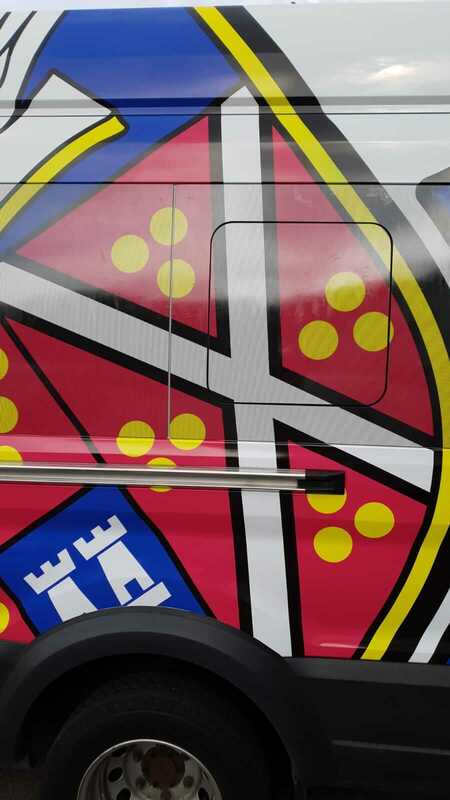 They wanted to have some eye catching branding from their school crest, that would really stand out when they are out on the road and draw attention to their services. Having had branding on their vehicles before that started to fade after just over a year, the school were keen to ensure that the new graphics stood the test of time. 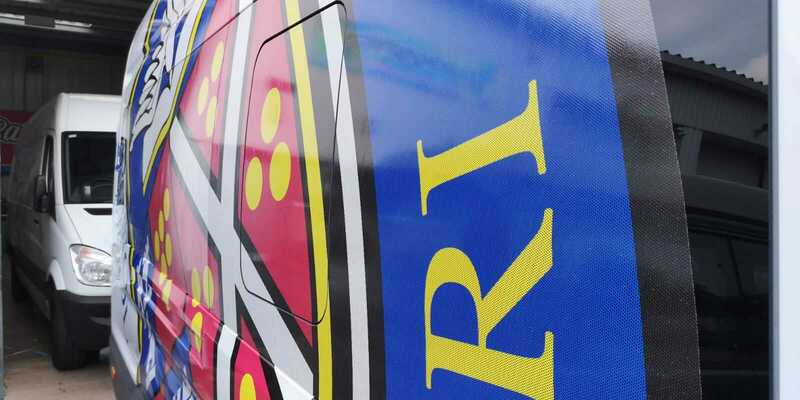 Truro School provided us with the visuals for their vehicle graphics that needed to be applied onto the fleet of busses. Once received, the design team got to work on scaling the artwork up on the correct vehicle templates and adjusted accordingly to ensure the grapphic was not going to be affected in anyway by the shape and complexities of the vehicle contours and joins. Once the final design was signed off for the 2 variations in vehicle type, we printed a sample of the vinyl wrap so the customer was able to confirm they were happy with the quality and finish of the material we were installing. 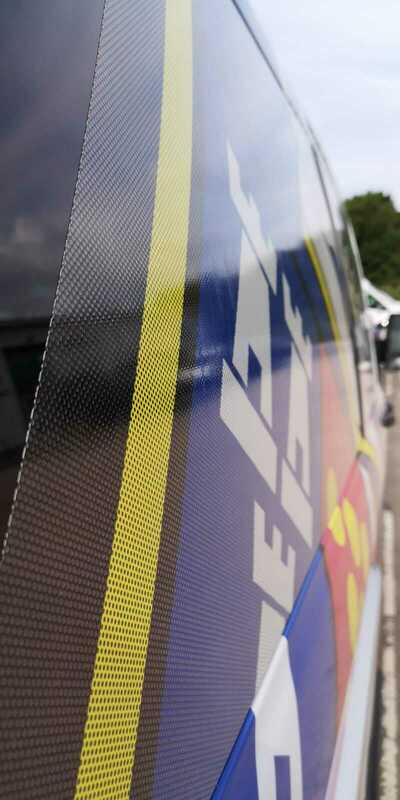 Next stage was for the production team to print the vehicle graphics, using 2 types of material for the bus wrap. 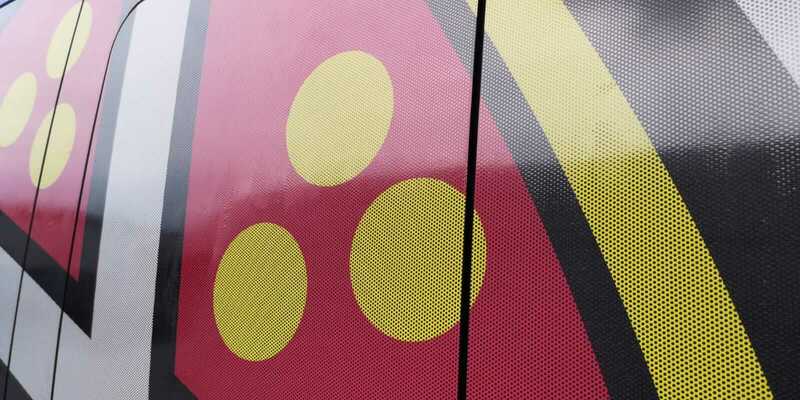 1st stage was to print the main vinyl wrap on a premium grade cast wrapping film, although the coverage didn’t involve any major recesses which you would normally have to use a cast film, the buses needed to have longevity with the graphics so a high quality cast film was used to ensure the wrap would conform to the minor curves in the body work. The 2nd part of material used was a film called Contra Vision. This enables people inside the bus to see out of the windows, but looking at it from the outside the graphics look striking and vibrant. The Contra Vision was then sealed with a laminate which protects it from UV fading and scratches. Once they vinyl graphics had been printed the buses were moved into out wrapping bay where they were cleaned down and prepped ready for the vinyl wrap. The wrapping process on each bus is about 1 day and finished with a post heat to rest the vinyl membrane to the contours of the vehicle. To find out more about working with Bayside Signs & Display on your signage and display projects, speak to our team on 01626 337337 or email us at info@baysidegraphics.co.uk.